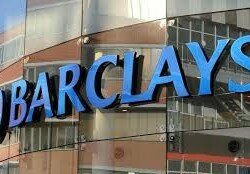 AGGRIEVED Barclays Bank pensioners have challenged the Pensions Insurance Authority to take the bank to task for abrogating the pensions Act through ambiguous calculations of their dues and the estimate of their pensions to the current value. In an interview with the Daily Nation yesterday after a meeting converged at South End which was attended by over 100 retirees, Barclays Bank Zambia Plc Staff Pension Fund chairperson Lennox Nyangu appealed to the authority to investigate the Barclays Trust Deed and Pension Scheme Rules Define Benefit (BTDPSRB) and ensure that the retirees were paid according to the pension Act as prescribed by the law. And Mr Nyangu has urged Government to look into the plight of the former workers as the situation had brought about poverty, misery and untold suffering of countless families, stating that the bank’s rules were not superior to the law. “As former Barclays Bank workers we feel we have been let down by the bank and our appeal at this juncture goes out to PIA which is the regulatory body to look into the Barclay’s Bank colonial rule which has adversely affected the welfare of all retirees. Our expectation is that PIA will compel Barclays Bank to pay our dues according to the pensions Act. ‘‘We also ask the Government to look into the plight of the former bankers as it has brought poverty, misery and untold suffering,” he said. Mr Nyangu said that it was disappointing that the financial institution had employed colonial rules which had adversely affected the welfare of all the retirees. He said the pensions Act was supreme to the BTDPSRB and wondered how the regulatory body could allow such a situation to go unattended to. Mr Nyangu said that that the retirees would not accept the statements given to them as the bank had failed to explain how they had arrived at the figures. A widow with seven children who is also looking after several dependants told the Daily Nation that the bank had explained to her that her late husband had not put it into writing who would be the beneficiary of the pension in case of his demise, hence the money had been forfeited. But she questioned the purpose of going to the courts of law to choose an administrator. Another man who also declined to reveal his identity said that he had been spending a lot of money to come to attend such meetings from Kitwe to Lusaka as the bank did not provide any refunds or incentives and explained that he had worked for the financial entity for more than 20 years at a junior manger level but expressed shock that his pension was quoted at K10,000 only.